The greatest oak was once a small seed. Anything big or anyone successful needs to begin with the simplest. Before someone could do great things, he must get through the smallest steps first to go even beyond the big ones. 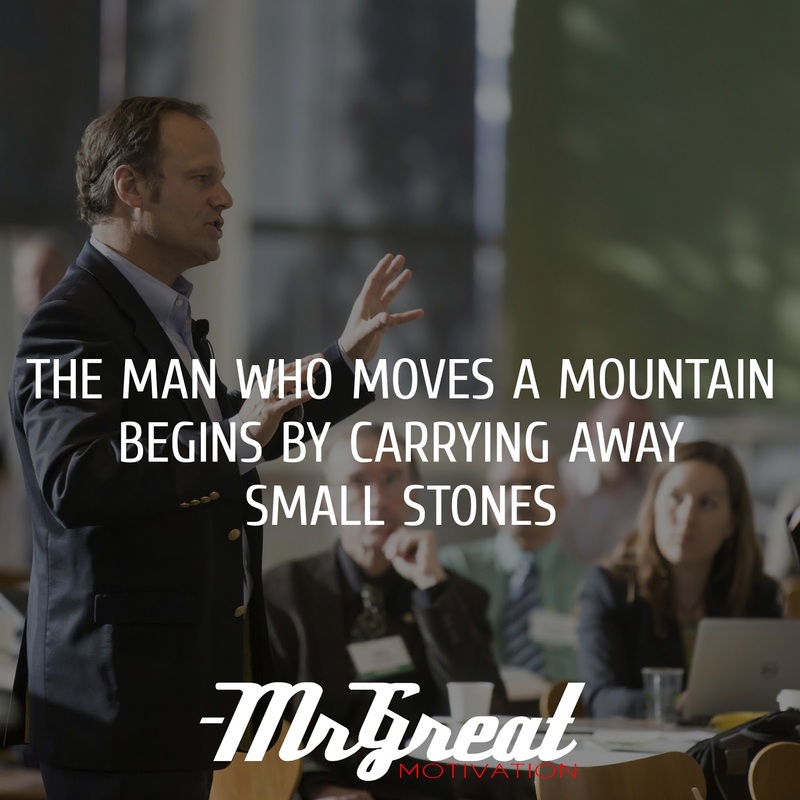 To accomplish any major task (Such as moving a mountain), you must take tiny steps in order to get it done. If you remove one stone from the mountain at a time, you will eventually move the whole mountain itself. At times our ultimate goal can seem impossible and a long way from where we are now. At the start of any journey, the most important things are that you do “Start”. One thing is for sure, nothing is going to happen unless you make a start! Just focus on Starting!! In a journey of a life, nothing happens just overnight – Just keep doing whatever that’s been working for you in the long-term, because this is what makes the real results, the consistency of keep doing something. You need to be content with small steps. Small steps that you take every day so when we look back down the road it adds up and you realized that you covered some distances.